After being charged with committing a crime, you most likely want to know what is going to happen to you. Unfortunately, there is no black and white answer at the beginning of a criminal case. 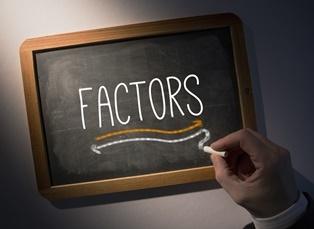 However, certain factors could influence the outcome of your criminal case. By understanding them, you can get a better sense of what to expect in your criminal case. Facts of your case. The facts surrounding the crime that you are charged with committing and the evidence that the prosecutor has against you will play a huge role in your case. If the state has strong witnesses, photographs, video, or other compelling evidence, or you made damaging admissions, the prosecutor will most likely take a harder approach in your case, making it harder to get the charges against you reduced to a lesser offense. Your defenses will play a role in the outcome as well. If the police obtained the evidence being used against you illegally, it might be suppressed, weakening the case against you. Also, you may have other strong defenses that may enable your attorney to work out a favorable plea agreement with the prosecutor. Your criminal history. Your prior criminal history will have a significant role in what happens in your case. If you have no other convictions, the prosecutor may be more willing to reduce the charges or allow the charges to be dismissed after you meet certain conditions, such as completing a drug rehabilitation program. However, if you have had many prior convictions, the prosecutor will be less likely to work out a favorable plea agreement. Prosecutor. Different prosecutors—even in the same office—will approach their cases differently. Some prosecutors are more interested in quickly moving their cases to resolution without going to trial and will be easier to enter into a plea agreement with. Others will take a hard line approach and will be unwilling to dismiss or reduce the charges. Judge. The judge assigned to your case may also have a significant influence on what happens. Like prosecutors, different judges approach their criminal cases differently—even in the same city or county. They may have their own rules regarding the scheduling of criminal cases and typical sentences if a person pleads or is found guilty at trial. A judge must approve a plea agreement and is not required to do so. Therefore, the prosecutor often will not offer a plea agreement that he knows the judge assigned to the case would not approve. Your attorney. An important factor that you have control over is your lawyer. Hiring an experienced criminal defense attorney will significantly increase the likelihood of a favorable result. If he conducts a thorough investigation, hires necessary experts, and builds a strong defense, he may be able to get the charges dismissed or reduced to a less serious offense with a lighter sentence. Also, if he has a good reputation with the prosecutors and judges in the court system where your case will be heard, this can affect his ability to negotiate a resolution of your case with the prosecutor. At Greenspun Shapiro PC, our experienced criminal defense attorneys have years of experience in defending clients charged with a variety of crimes in many different locations. Our attorneys are committed to conducting a thorough investigation and aggressively raising your defenses to arrive at a satisfactory resolution of your criminal case. Schedule a consultation by calling our Fairfax office at 703-352-0100 or filling out our online form.